•	Interchangeable reflectors to achieve different beam distributions. •	Minimum Trim reveals are 0.12” thick. 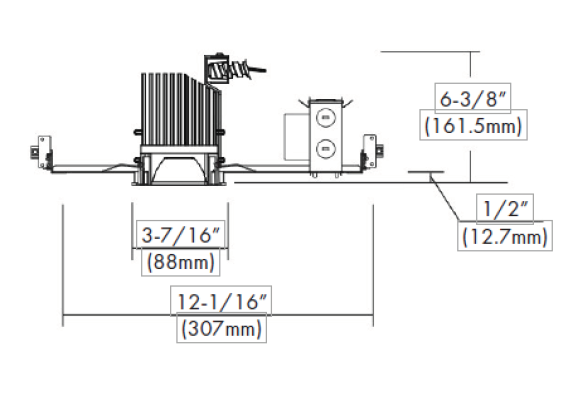 •	Multiple reflector distribution patterns available: pinhole trim with Narrow Spot (NS), Narrow beam (N), Medium beam (M), and Wide beam (W). •	Ceiling thickness allow 1/2”~1-1/2”. •	Adjustable trims allow engine to be angled 0˚~30˚ tilt with a 356˚ rotation for precise, lockable aiming. •	Wall Wash trim with angled slope reflector. Molded spread lens for great uniformity. 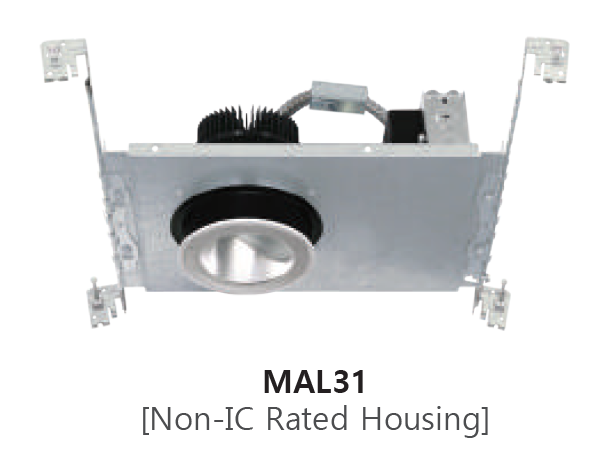 •	Dimming capability is standard with 0-10V dimmer switches. •	Certified to IESNA LM-79: Approved Method for the Electrical and Photometric Testing of Solid State Lighting. The U.S. Department of Energy (DOE) verifies product test data and results. LED chip sets are in compliance with LM80. cETLus Listed.